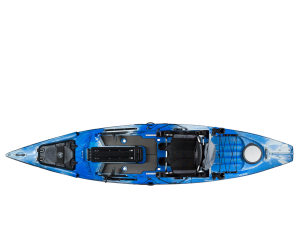 The Coosa FD is based on the top selling Coosa HD hull and deck layout but adds a long-awaited Flex Drive system, allowing for hands-free propulsion. The new Flex Drive System offers forward and reverse operation and includes a unique articulating system for deep and shallow water navigation. 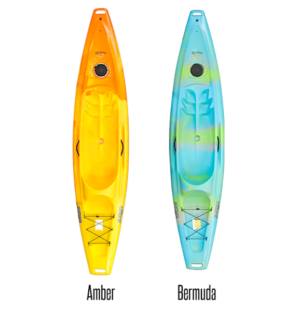 A daggerboard protected tri-blade propeller combined with articulation gives the Flex Drive a performance increase over other drives and helps with keeping the system clear of obstacles and easy to clean. The Coosa FD comes with the fore-aft trimming and our High Ergo Seat Frame with MOLLE System giving it flexibility in seating positions that puts the pedaler in the most comfortable position possible. The Flex Drive is easily deployed with the flip of a lever, has adjustable pitch, a 1:12 ratio and will be upgradable to a new motor drive system available in 2018. 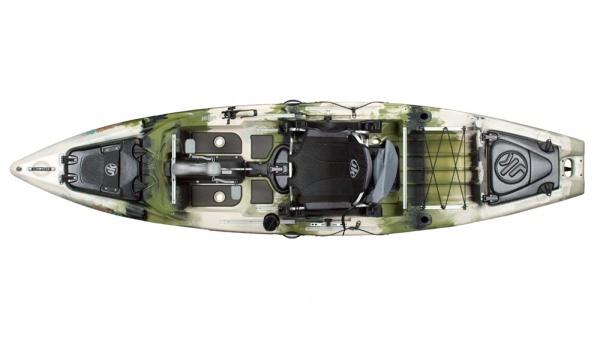 The Coosa FD has all the the features of the best-selling Coosa HD, from rod tip protection system to gear track and more. 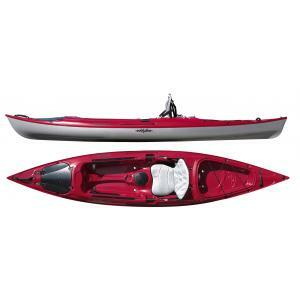 The combination of one of the best designed all-around kayaks and the new Flex Drive makes this a leading combination for hands-free kayak angling!